If you haven't seen the nursery you must check it out. 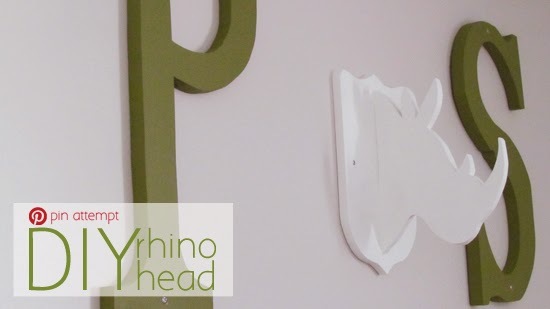 This rhino head was the perfect DIY project for our budget and now hangs above Little P's crib - and of course, it was a Pin Attempt. 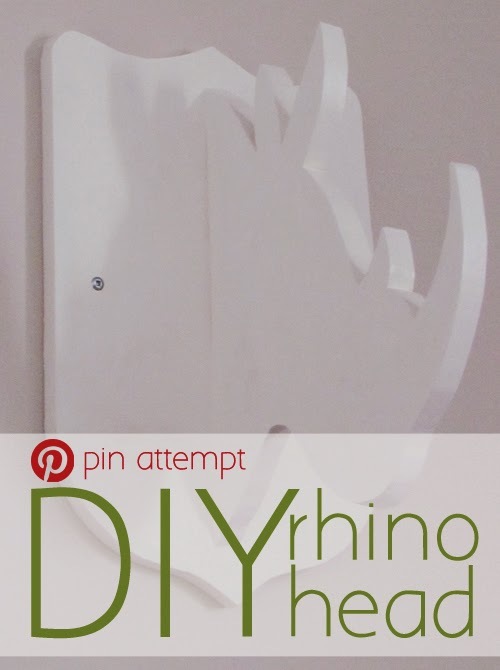 First you need to grab the instruction from over here: (diy faux rhino mount). In fact, I've been thinking about creating other animals to sell in the etsy shop. I have some designs put together for different ones, I just need to have the hubs test them out. If all is good, we need to find a way to flat package them and create instructions for assembly. Oh, and figure out who should be doing the painting - me or the customer? P.S. this pin attempt was a success!